Headquartered near Aspen, Colorado, WonderWorx is the latest creative enterprise for design entrepreneur, Robert Tobias. His previous venture, which was an Aspen landmark and destination for decades, was a gallery called Waterfall Hope that marketed avant-garde, creative works from the world of arts and crafts. The gallery generated curiosity and excitement among patrons seeking the innovative, collectible, or even whimsical pieces that were represented, with many original designs also being commissioned. 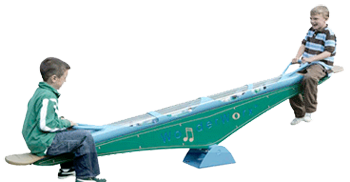 Collaborative relationships with acclaimed craftspeople, artists, and sculptors led to the concept and development of kinetically activated, musical playground equipment that is now the foundation of WonderWorx inventions. WonderWorx offers brilliant, unusual, high-quality, and engaging alternatives in sensory play pieces that double as unique, powerful, therapeutic devices. Masterful design, creative engineering with impeccable production execution, aesthetic sophistication, and musical expertise from industry leaders have been innovatively blended to create remarkable products. Growing from the original concept of musical and colorful kinetic play sculptures that provide unique aerobic recreation, the inventions are also recognized for their value in multisensory stimulating activity, science and music education, special needs applications, and dynamic social interaction. Learn more about the innovative team behind our sensory play equipment and therapeutic devices by contacting WonderWorx today at 888.653.5595 in Carbondale, Colorado.